I have five bikes. All of them are vintage. I prefer them. I bought another one today. I will buy a bike, do some repairs and I have a bike. I am a volunteer mechanic at the non-profit association, Papadouala, in St Gilles. 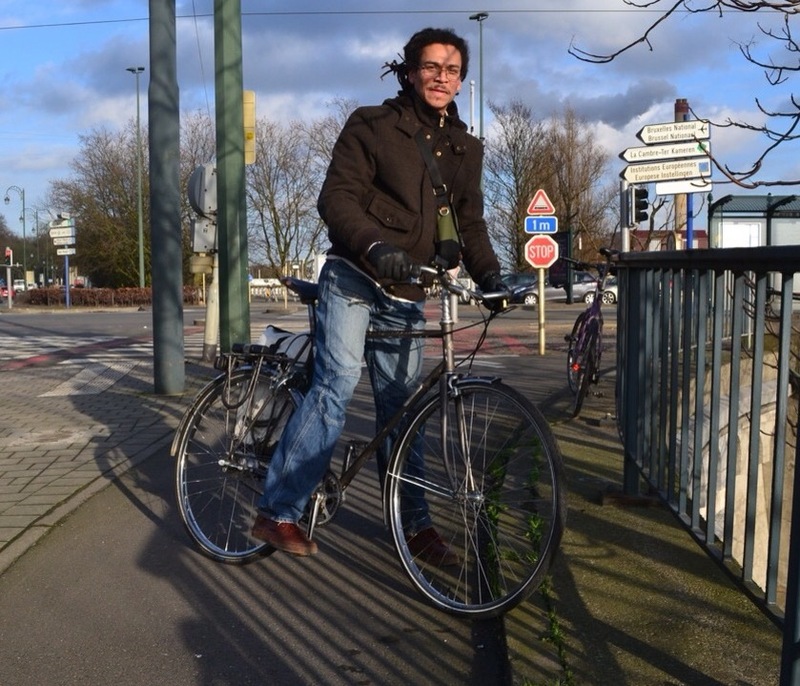 This entry was posted in commuter, Europe, Serious and tagged 2015, January, l'oiseau. Bookmark the permalink.